WE MET PITANGO A FEW WEEKS AGO AT THE ONE LOVE FEST. ALL I CAN SAY IS HE IS NOW OUR FAVORITE ARTIST. WE KNOW A LOT OF REALLY GREAT JEWELRY DESIGNERS, BUT THE LEVEL HE TAKES HIS ART TO IS A GAME CHANGER. 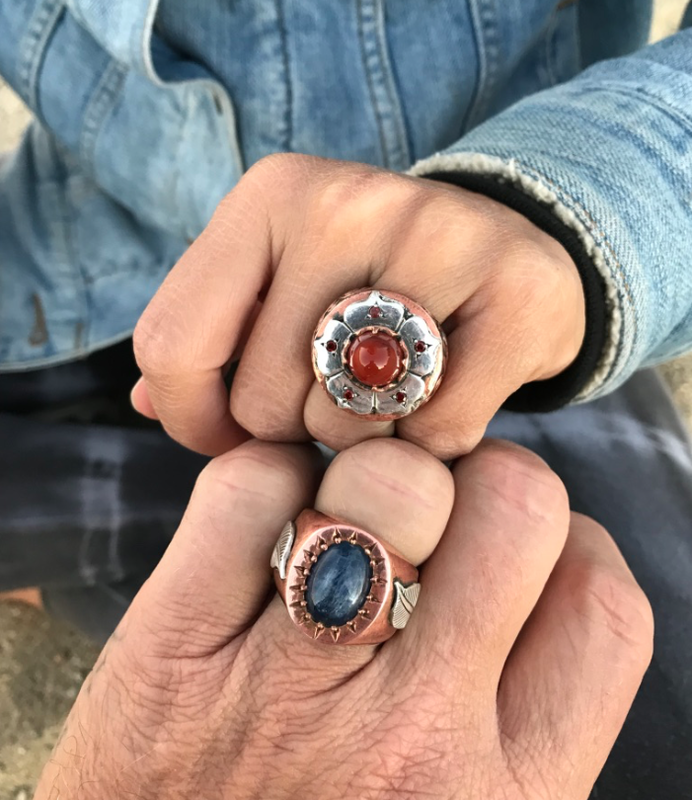 HIS RINGS HAVE POWERS, HE CREATES RINGS THAT CAN HELP YOU IN YOUR LIFE, COMBINING SEMI RARE PRECIOUS STONES AND TRADITIONAL SYMBOLS TO HELP ENHANCE YOUR LIFE. THEY ARE ALL SO BEAUTIFUL AND HE CAN TELL YOU WHAT EACH STONE AND SYMBOL MEANS AND WHERE THEY COME FROM AND BEST OF ALL HE CAN HELP YOU CHOOSE THE ONE THAT BEST SUITS YOU. REALLY THE BEST PART OF PITANGO IS HIS ENERGY, SUCH A FUN BEAUTIFUL SPIRIT. PLEASE CHECK HIM OUT, IT WILL BE WORTH IT.